Ken Howard as Thomas Jefferson, Howard Da Silva as Benjamin Franklin and William Daniels as John Adams in “1776”. 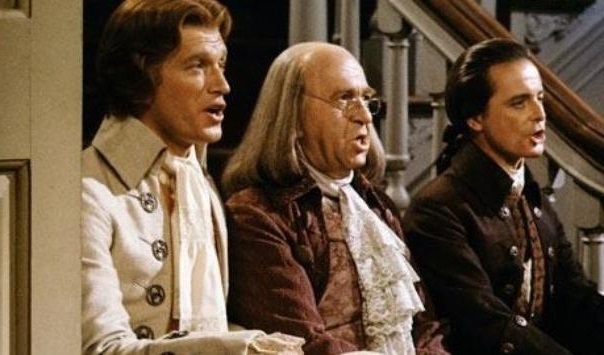 A wonderful and entertaining film about the birth of our country, 1776 is a film adaption of a stage musical. With entertaining and meaningful songs, the film focuses on the Continental Congress and the writing of the Declaration of Independence. With many comedic moments as well as an important story, this is a great film that celebrates the founding of our country. Following the 2nd President from the early days of the Revolutionary War to his Presidency, this eight-part award-winning miniseries shows the struggles and victories of John Adams’ life, as well as those of other Founding Fathers including George Washington, Thomas Jefferson, Benjamin Franklin and John Hancock, among others. A story based upon historical figures, but focusing on fictional variations of them, The Patriot follows Benjamin Martin, a farmer hesitant to become involved in the Revolutionary War until a tragedy brings him in. A feud with a British Dragoon named William Tavington is a storyline of the film that focuses on Martin and his family during the war, following him through struggles, loss and brutal battles. 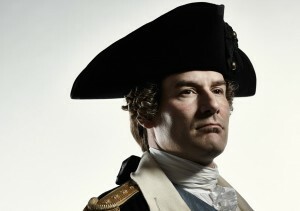 Not entirely historically accurate, this 2015 3-part miniseries focuses on the Sons of Liberty, with many Founding Fathers being shown including George Washington, John Adams, Samuel Adams, Benjamin Franklin, John Hancock, Paul Revere and Joseph Warren, among others. Beginning before the Revolutionary War and ending in the early years of it, the series shows the Boston Tea Party, as well as many other events leading up to the war. Ian Kahn as George Washington in “TURN: Washington’s Spies” Season 2. A series with a second season premiering on April 13, 2015, TURN: Washington’s Spies‘ first season follows the origins of the Culper Ring and the lives of its members. 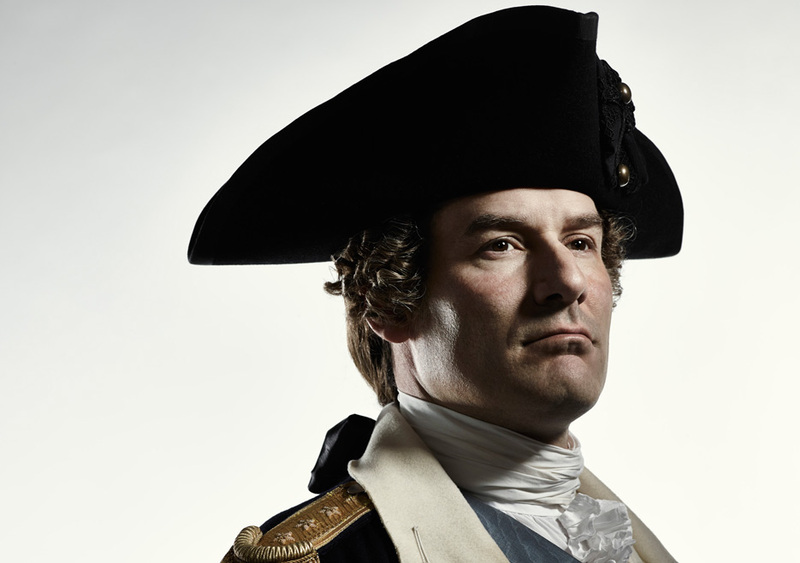 Under the command of General George Washington, Benjamin Tallmadge brings together old friends of his, including Abraham Woodhull, Caleb Brewster and Anna Strong to complete missions for General Washington. From Setauket, to Trenton, the first season follows early victories and personal struggles amongst the Culper Ring. Comments for Five Opinions on Revolutionary War Based Films and TV Series are now closed.